Learning to conduct yourself appropriately at all times is a vital step toward success in the classroom and in life. I believe that students need to better understand what kinds of conduct are and are not appropriate in school. 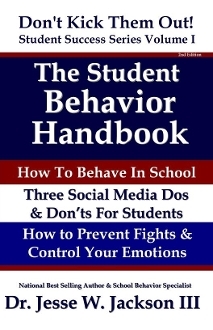 This book is intended to give students and teachers a platform for discussion and to help students hold themselves accountable for their behavior. Students must learn to take responsibility for themselves and their actions. It’s not the best idea to put your success in the hands of your teacher or even your parents; it’s time for you, as a student, to understand your responsibility for bringing about your own success. One of the keys to success is learning how to conduct yourself in all situations. I’m going to share twenty-one things that will help you do that better. Please discuss each and every point with your peers, your teachers, and your parents. Let's get to work.